Dubai: Expats in the UAE are questioning Indian government’s move to block their travel from India if they fail to register their details online from January 1. The recent move to offload Indians holding ECNR passports and flying out of their home country on employment visa to 18 countries, including the UAE if they do not register on the recruitment portal www.emigrate.gov.in has drawn flak. While some expats are questioning the rationale behind the government’s demand to share their employment details, several of them are questioning the implementation of the new rule, which some described as arbitrary. Sources told Gulf News that many Indians have raised their concerns and complaints with the Indian missions and the Pravasi Bharatiya Sahaya Kendra or PBSK, which was formerly known as Indian Workers Resource Centre. Some Indians have also taken to social media to protest and seek a revision in the rule. Speaking to Gulf News, some Indian expats said the government should immediately consider reviewing the rule to give them the flexibility of registering from their country of residence and also to do away with the stringent measure of stopping the passengers from flying if they do not register. Since this is meant for people who do not require emigration clearance, I do not think that government can stop them from flying out for jobs. “The ministry’s advisory about offloading Indian employees not registering online is unwarranted,” said lawyer Bindu Suresh Chettur who offers free legal advice and counselling services at the PBSK. She pointed out that the government has not issued any law or clear-cut guidelines and has not taken enough measures to raise awareness in this regard. Ajay Petta Karai, a finance controller in an advertising company in Dubai, said the move to offload passengers is arbitrary especially when they have not been given the facility to register from their country of residence. He said there are a lot of practical difficulties that people might face when they go to India. 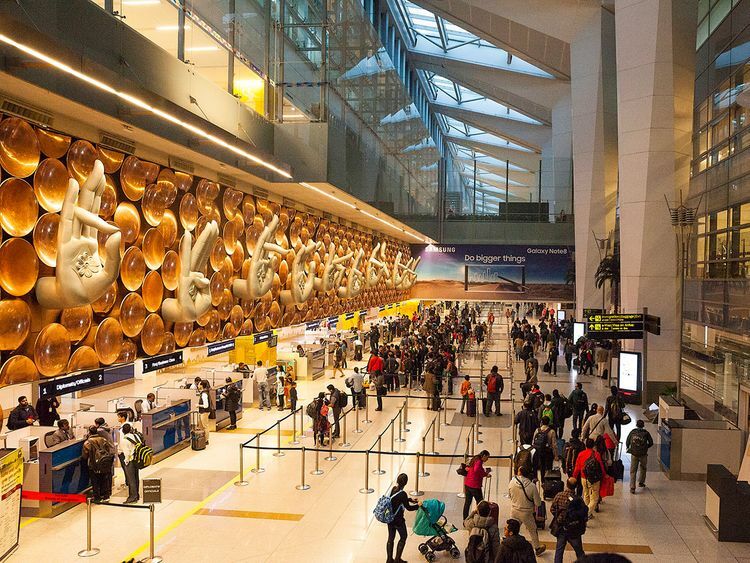 Mohammad Hyder Bin Moidu, an instrumentation engineer in Abu Dhabi, pointed out that Indian expats already provide details about themselves through various government agencies in India and UAE. The government should give us the facility to register our details from here. Or else, they should not stop people from coming back. At least, they shouldn’t do it on the first instance of travel. He urged the government to clear the ambiguities about the rule. Expats like Tabassum Kazi, an academic supervisor in an Abu Dhabi school, wants the government to declare the welfare measures it will offer with the move. Anish Chaudhury, senior manager of the PBSK, said the agency has been told to disseminate the information related to the rule during its weekly awareness campaigns and on social media. Gulf News did not get response to questions sent to the office of the Protector General of Emigrants who issued the advisory. Indians holding ECNR passports and flying out of their home country on employment visa to 18 countries including the UAE should register on the recruitment portal www.emigrate.gov.in The mandatory registration which comes into effect from January 1, is applicable to Indian expats already working in these countries also. They need to register only once while they are on their first visit to India and at least 24 hours before flying back to their country of residence, failing which they will be offloaded.